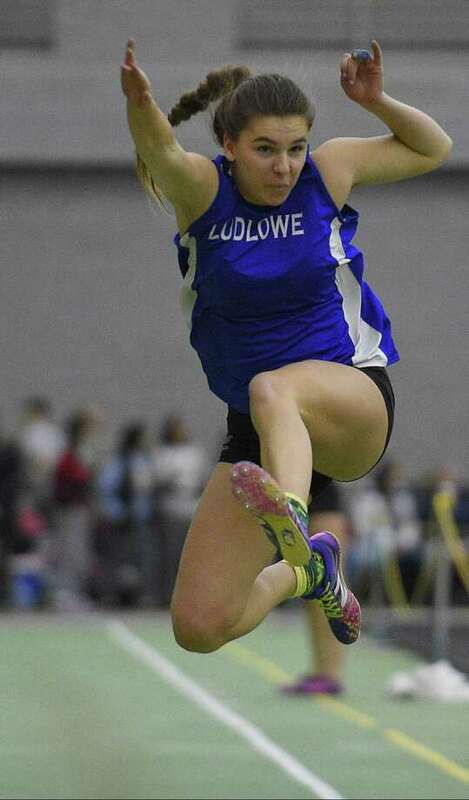 ACCOMPLISHMENT: In the FCIAC Championships that took place on February 3, Stapleton won the 55-meter hurdle event with a time of :8.62 seconds, won the high jump with a jump of 5-feet, 2-inches and took second in the long jump with a jump of 17-feet, 9½-inches. ACCOMPLISHMENT: Another standout week. Scored 21 points in an 85-61 win over Kolbe on Feb. 2, scored 23 points in an 86-53 win over New Milford on Jan. 30, scored 18 points in an 82-49 win over New Fairfield on Jan. 26 and scored 20 points in an 80-34 win over Bethel.